Happy Wednesday!! We’re half way through the week – yay!! Today is a short day at work for me because we have our annual division picnic this afternoon and then I am off the rest of the week! Yay for short work weeks! Today I will be sharing some new (to me) snacks I have been enjoying lately. Chobani Flip – Part Yogurt, Part Toppings. 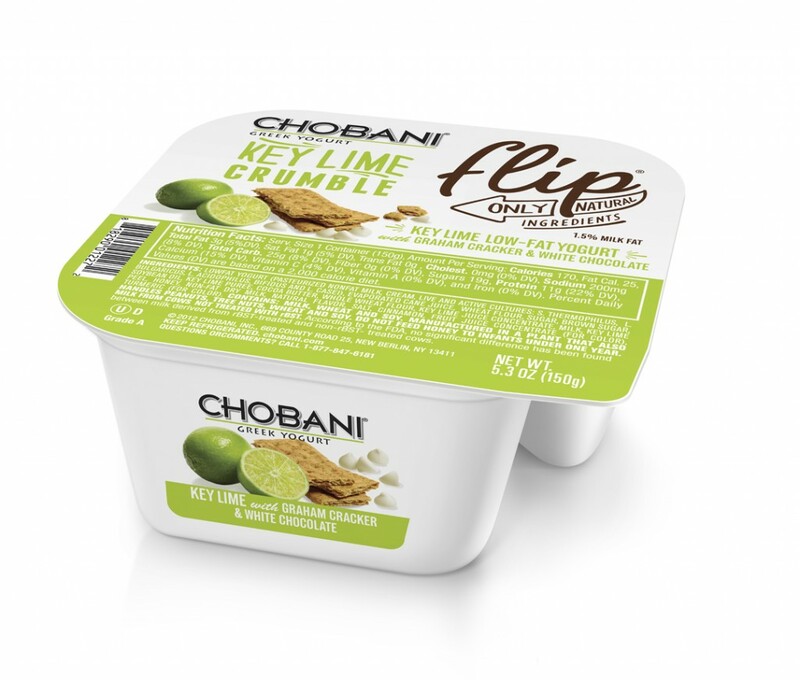 I love the Key Lime Crumble flavor and can’t wait to try the others! There are 10 flavors in total including Almond Coco Loco and Honey Bee Nana that both sound yummy to me! 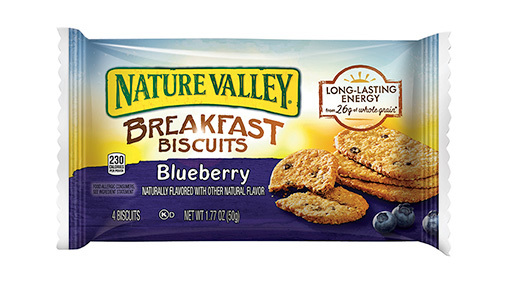 Nature Valley Brekfast Biscuits – my friend Erin, who works for General Mills, recommended these to me as one of their new products and I absolutely love the blueberry flavor! 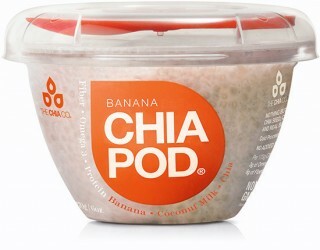 Chia Pod – I saw these in the store earlier this week and picked up one to try and instantly fell in love! I tried the banana flavor which has only three ingredients – chia seeds, banana puree, and coconut milk! They’re a little expensive at $2.99 for one, so I don’t know that I will be buying these all the time, but they are definitely good to grab for breakfast/snack when in a hurry. You could also easily recreate this yourself at home in bigger batches. 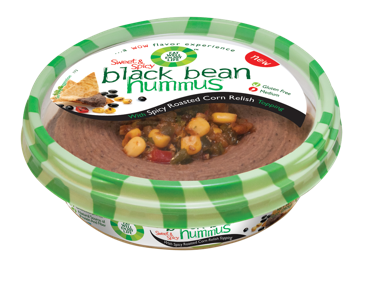 Sweet and Spicy Black Bean Hummus – I found this at Target and decided to give it a try. It’s definitely a nice change of pace from traditional chickpea hummus and I really enjoyed it. I’ve been eating it with pita chips but imagine it would also be great with tortilla chips. 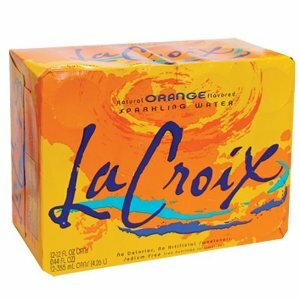 La Croix Sparkling Water – I love La Croix and recently picked up a case of the orange flavor to try at the request of my husband. It tastes just like orange soda minus all of the sugar. So refreshing! What are some new foods you have tried lately? Linking up with Jenn today for another WIAW! Maybe I’m weird, but I love to see/hear what other people are eating. Need some new ideas and those breakfast biscuits sound tasty! I’m the same way! I love getting no food idea from other people. Definitely try the breakfast biscuits – they are crunchy so good with coffee! I love La Croix sparkling water!